Have the chance to own a piece of Fine Art Line Photography from Journeyman Lineman Dustin Maier. Aside from being a Journeyman Lineman, Dustin is also a Professional Photographer. 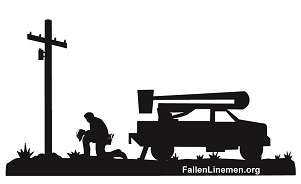 Over the years he has tried to capture what it's like to be a Lineman. I believe he has done so with his photography! All are personally signed gallery quality prints or canvases. Canvases are professionally stretched over a wood frame ready to hang. Prints are ready for framing to match your own personal decor. Print measures 12x36.